In eggs, the majority of the calories come from the egg yolk. Using only the egg whites you get a great calorie reduction. 2. In small skillet, heat oil over medium heat. Cut the cut the sausage into suitable pieces and fry them golden. Remove the sausage pieces from the pan and keep warm. 3. Pour the stiffly beaten whites to the pan and cook until the omelet is set. Tip: To bake the surface put the pan in the oven under the grill. 4. 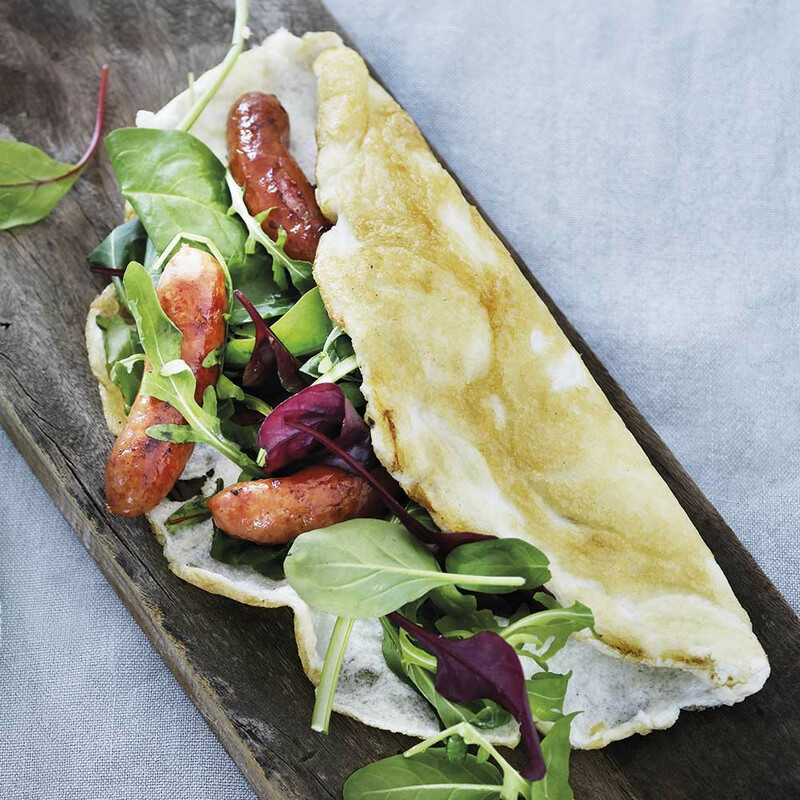 Slide the omelet onto a plate and place the salad and sausage pieces. Fold the omelet over the filling and sprinkle with cut chives.